Rugged low silhouette transit antenna. 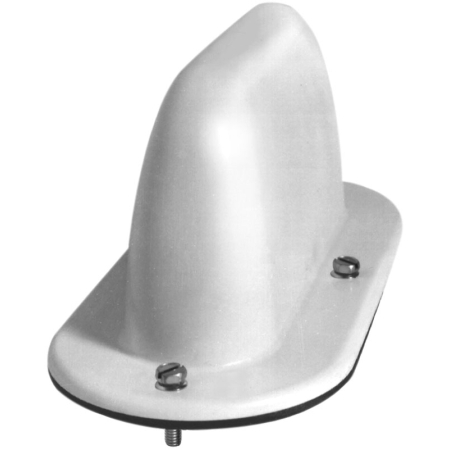 Enclosed in a high impact molded ASA radome. Ground plane is required. Includes 4 truss head slotted bolts (#10), 4 self-tapping sheet metal screws and 1 1/8" thick rubber pad. Direct N female termination. Order cable and connectors separately. H 3.4" x L 8" W 3.5"
Brass rod with ASA plastic radome.